By land and by sea, discover a land of untamed wilderness and awe-inspiring scenery. 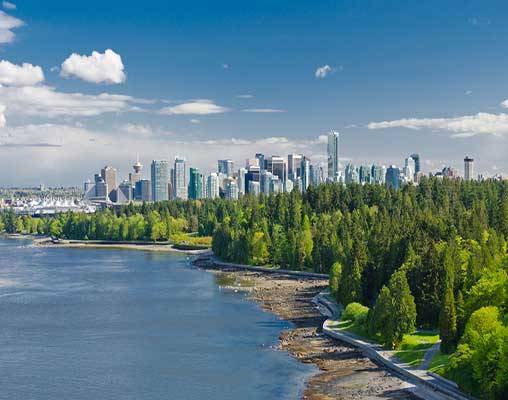 Begin by boarding the elegant Holland America Ship in Vancouver, and sail north, past forests and glaciers. 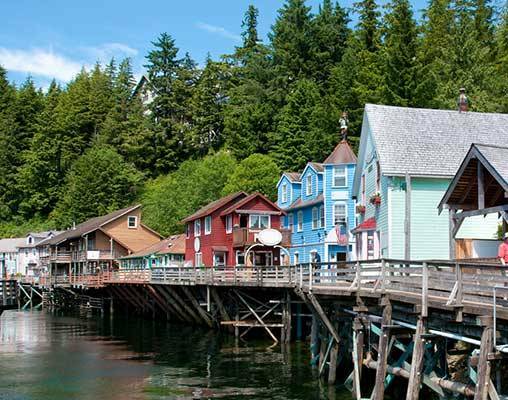 Cruise through Alaska’s Inside Passage, and make stops in Alaskan towns like Ketchikan, Juneau, and Skagway. Take a thrilling trip along the scenic Turnagain Arm, and spend three nights in Denali National Park. With an endless array of onshore excursions and exciting tours, this 13-day adventure is the best way to experience Alaska. Sail from Vancouver, glide under the Lion's Gate Bridge and enter the scenic wonders of the Inside Passage. Overnight onboard ship. Relax and enjoy a full day of scenic Inside Passage cruising, and immerse yourself in the elegance of the Holland America line. Overnight onboard ship. 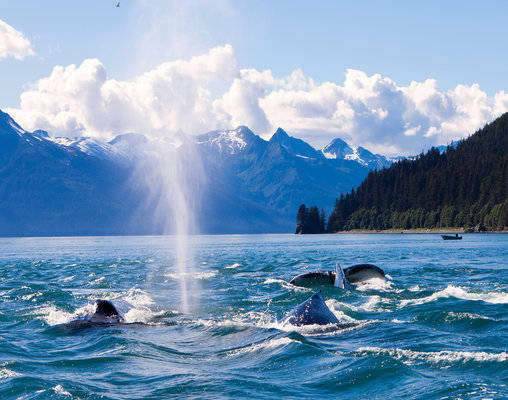 Explore this uniquely Alaskan port, famous for its rich native culture, salmon fishing, and scenic Misty Fjords. Overnight onboard ship. Enjoy a full day of exploring Alaska's capital! Choose from exciting shore excursions and still have time to shop. Overnight onboard ship. Step back to the days of the last great gold rush. 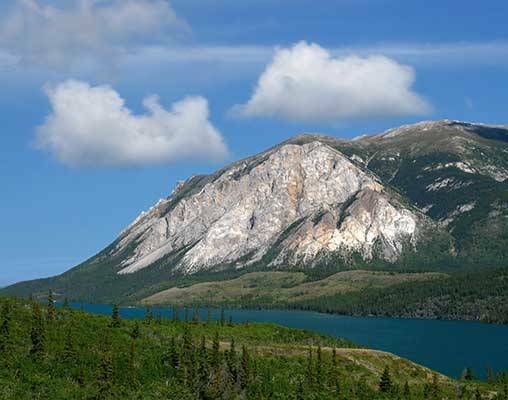 Skagway was once home to thousands of hopeful prospectors during the Yukon Gold Rush. Many of the original buildings are still standing, and the pioneering spirit remains. You'll have time to explore, partake in shore excursions, and shop. Overnight onboard ship. Cruise the ice-studded fjords of this national treasure for a full eight hours. 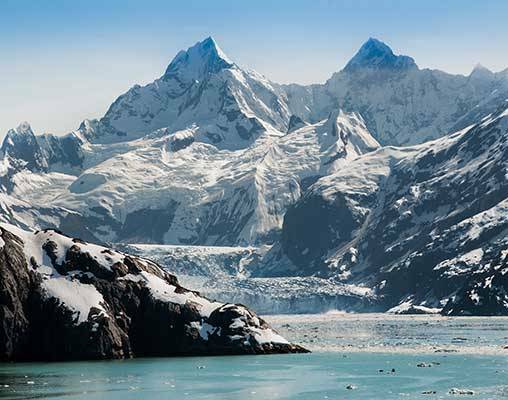 A Park Ranger narrates your journey through the stunning Glacier Bay. Overnight onboard ship. Enjoy a leisurely full day of cruising. Take advantage of the ship's onboard amenities, such as the spa, thermal suite, fitness center, casino, and pool. The options are endless. Overnight onboard ship. Disembark and enjoy a scenic rail journey along Turnagain Arm en route to Anchorage. The route alongside Turnagain Arm is one of the most beautiful stretches of rail in America, running past mountains, Chugach State Park, and the Cook Inlet. Overnight Anchorage. Board the luxurious domed rail cars of the McKinley Explorer to Denali for a three-night stay at this magnificent, treasured National Park. Overnight Denali. 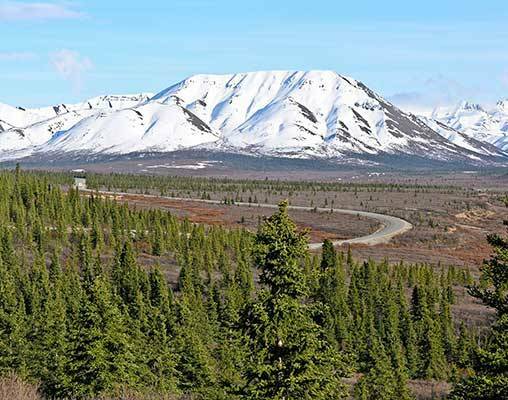 Venture deep into Denali National Park on the Tundra Wilderness tour (snack included). 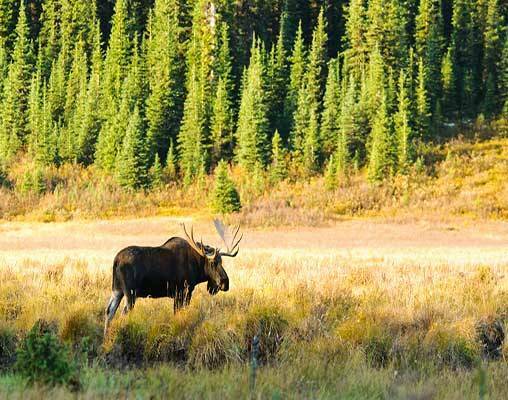 This tour is the best way to encounter wildlife and see Mount McKinley, North America's highest peak. Overnight Denali. Enjoy an entire free day in Denali. Take the opportunity to explore on your own, or take advantage of optional excursions. Overnight Denali. Today, you'll head for Fairbanks, Alaska's Golden Heart City, and take a step back aboard the Riverboat Discovery (lunch included). Overnight Fairbanks. Your exploration of Alaska by land and sea comes to an end today in Fairbanks. Click here to view testimonials for Alaska by Land and Sea Featuring 3 nights in Denali. Everything was well-organized and all the people were very professional and friendly. The tour delivered all that it said it would. Enter your details below if you would like to be notified when 2020 dates and prices are available for Alaska by Land and Sea Featuring 3 nights in Denali. Prices are land-only, per person based on double occupancy. Prices are correct at the time of this web page going live; however are subject to confirmation at time of booking. Additional Port Tax of up to $300 per person not included.